Things are heating up between Drake and Janet Jackson's goddaughter Bella Harris. Forget about Keke, it looks like Drake has a new lady in his life. The 'Nice For What' hitmaker is reportedly dating Elite NYC model, Bella Harris. 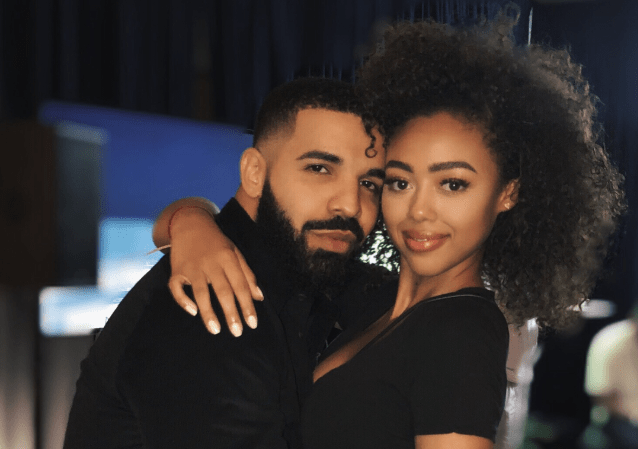 The 18-year-old shared a picture of herself embracing Drake with a sweet caption. "No place I'd rather be," she wrote. According to E! News, Drake closed down a restaurant in Washington, D.C. in order to have an intimate dinner with Bella. Bella appears to be a big Drake fan, too. Two years ago, she took a picture with the rapper backstage at one of his concerts. The rumoured couple have been spotted together on more than one occasion recently. Bella has reportedly been attending quite a few of the 31-year-old's recent concerts. It's no surprise that their paths crossed. Bella's father is songwriter and producer Jimmy Jam. He has worked with stars like Janet Jackson - who just happens to be Bella's godmother. She's also worked with Drake's ex, Rihanna. Bella was a model for one of Riri's Fenty campaigns. The teenager also appears to be a big Rihanna fan. She was spotted backstage at her 'Anti World Tour' in 2016. Drake has been unlucky in love and has had messy splits with both Rihanna and Jennifer Lopez, but maybe this time will be different?